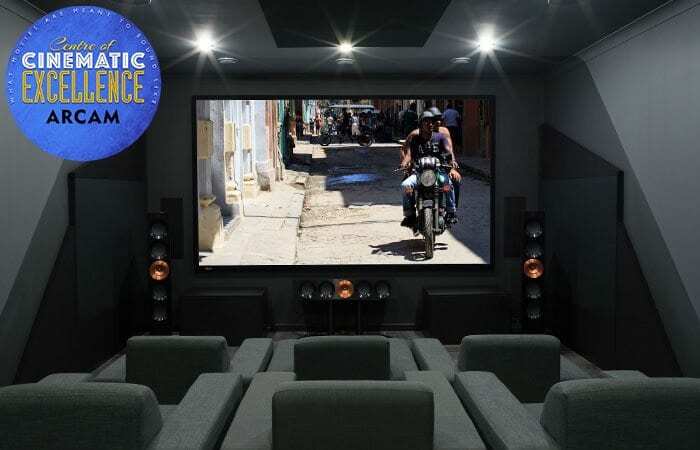 You are invited to join us for a very special event at Signals to experience the very best of what ARCAM has to offer in the home cinema arena. ARCAM have just granted us their prestigious Centre of Cinematic Excellence for the region. We will be showcasing on the night many ARCAM products across all areas and we are sure you will see and hear a home cinema experience that you find hard to beat anywhere. At our brand new premises we have an ARCAM home cinema on permanent demonstration and we can take you through the immersive world of object based audio using Dolby Atmos and DTS:X home technologies expertly configured using the latest room correction systems from Dirac Research, for which myself and Andy have been fully trained by ARCAM. The projector in use is the VPL-VW550ES, which is a state of the art 4k device. We will also have the new and, as yet, unreleased Sony UBP-X1000ES 4k player on hand for its very first public showing. The speakers are a mixture of PMC Twenty5 series and the on-wall PMC Wafer. As well as the ARCAM’s range of multi-channel receivers we will also be demonstrating the SR250 2 channel receiver and the Solo range. Please feel free to bring along a favourite film or Music CD – you really will see, hear and feel the difference. In addition to this, we will be serving refreshments in the form of some very fine locally roasted coffee, cold beers, Pimms or tea. If this is not enough, one of the attendees will win an Arcam rPlay music streaming device on the night worth £399.